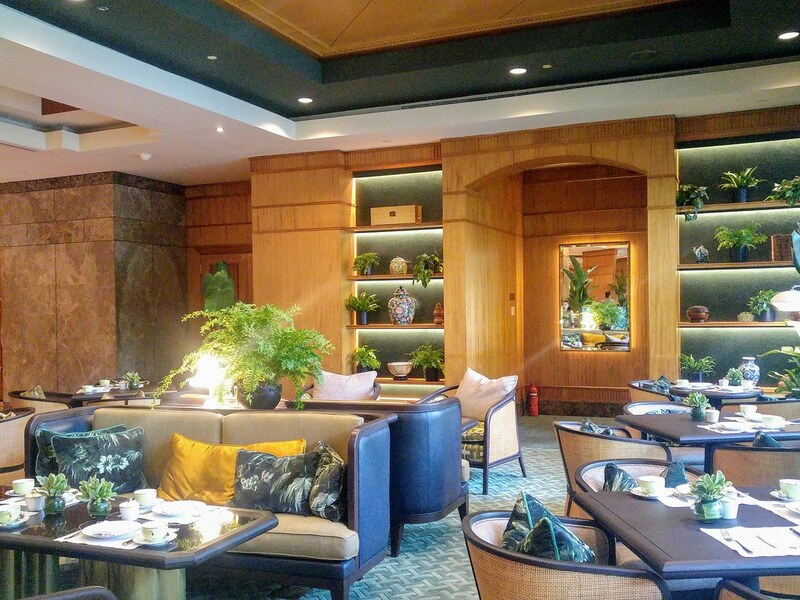 Tea Lounge at Regent Singapore has reopened and you will find yourself stepping into a contemporary colonial garden with lush tropical greens and warm sunlight piercing through the window binds. Having Afternoon Tea here is made even more tranquil than before. 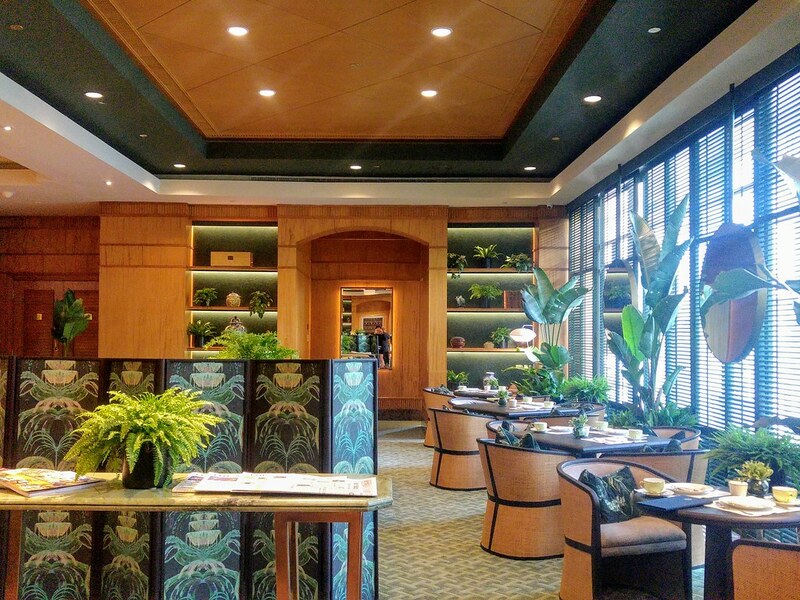 Along with the refurbishment, interactive elements are added to bring your food closer to your senses. 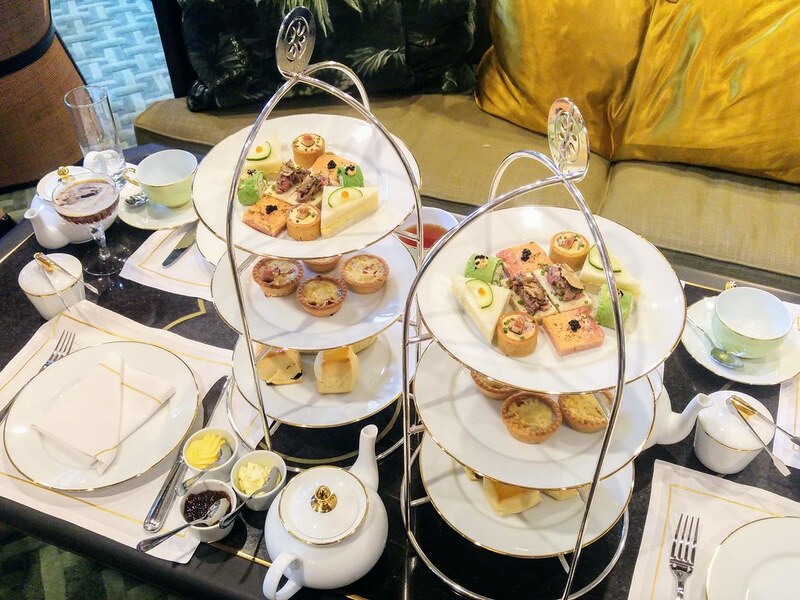 Unlike the usual Three-tier Afternoon Tea set which comes with an assortment of savoury delights, scones and sweets, Gold culinary Olympian Pastry Chef Alex Chong and his team will be crafting and sculpting your sweets a la minute, prepared at the Chef's work table. The Scones here are are the first to be savoured once the tier is served. Buttery, kind of spongy and yet with a crusty exterior. Traditional lemon curd is served as well. 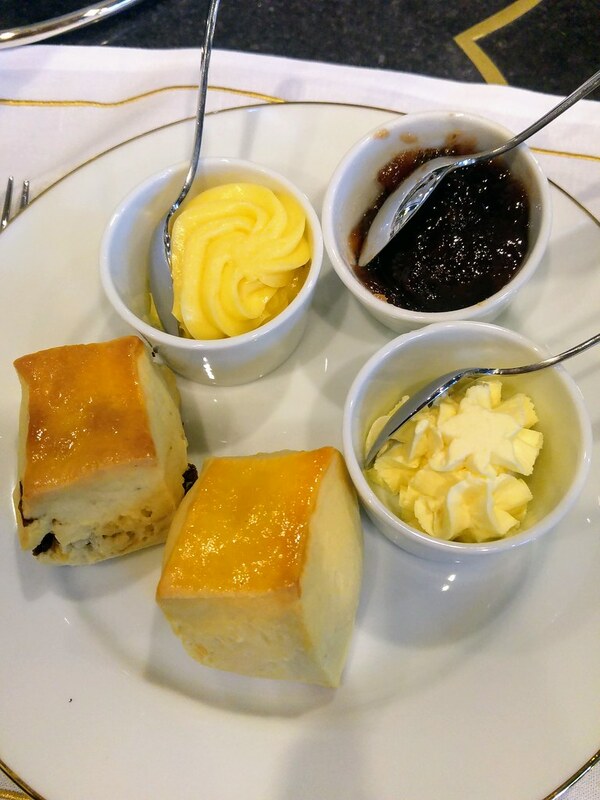 What I had was a lemony, creamy and buttery scone as I slathered the Devonshire clotted cream all over. It would have been perfect if its house-made strawberry preserve is a lot less sugary and more tart. 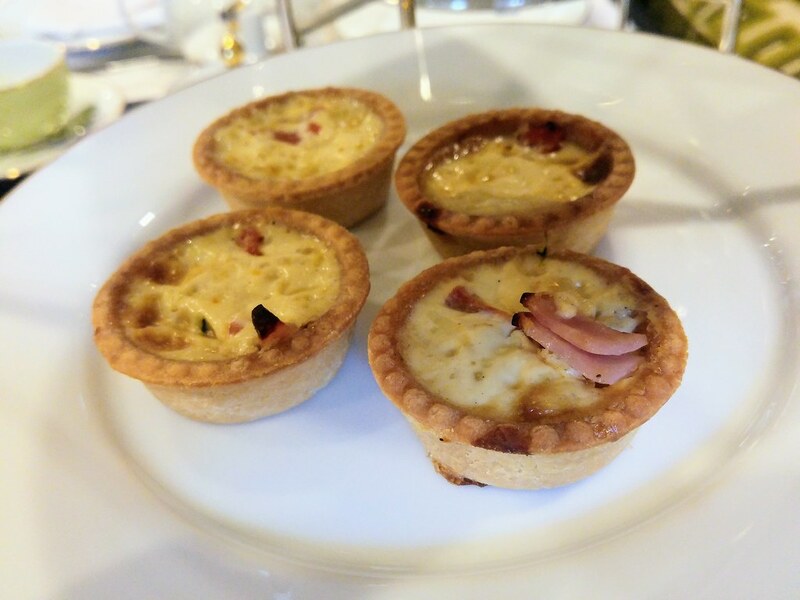 With the scone craving satisfied, we moved on to its seasonal Quiches. The quiche is also a hot favourite here. Within the thin and buttery crust is a creamy and eggy filling loaded with ham. Moving to the top tier that is filled with petite savoury finger food. made extravagant with ingredients such as Perigold black truffle, Alaskan king crab and foie gras. 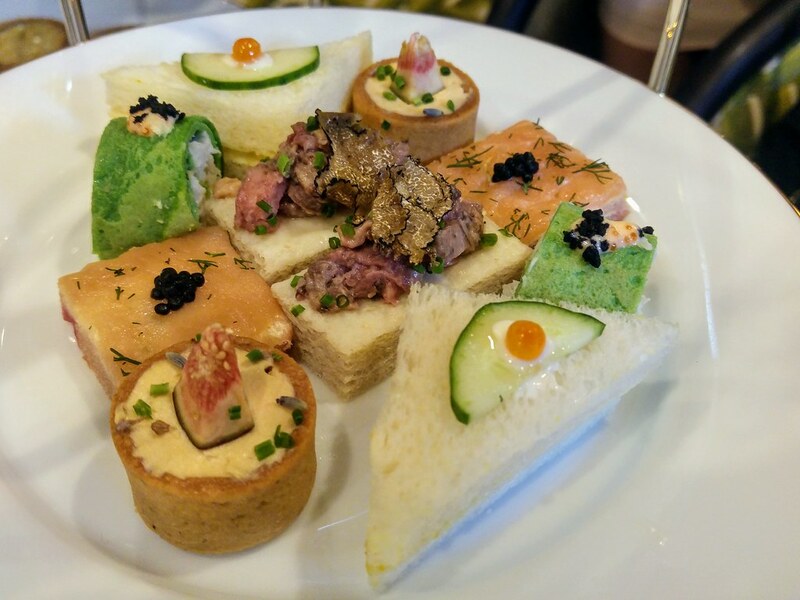 Right in the middle is a open sandwich Roasted Wagyu Beef and Lancashire cheese on rye bread crowned with Perigold black truffle. One could easily engulf it at one go but it's worth savouring the richness and flavour in smaller bites. The Alaskan king crab stands out with its green colour watercress crepes. The crab meat was firm and sweet. Though there isn't much taste contributed from the watercress crepes, I enjoyed its fluffy texture. Another small yet rich in flavour is the Duck Breast and Lavender infused Foie Gras Terrine on tart. It is almost like eating bone marrrow on crostini with complementary sweetness lent from Spanish black figs. There are 4 options for the plated desserts and I chose the Dark Chocolate Forest. The Chef's work table gave me a reason to exercise a bit while waiting for the dessert to get ready. 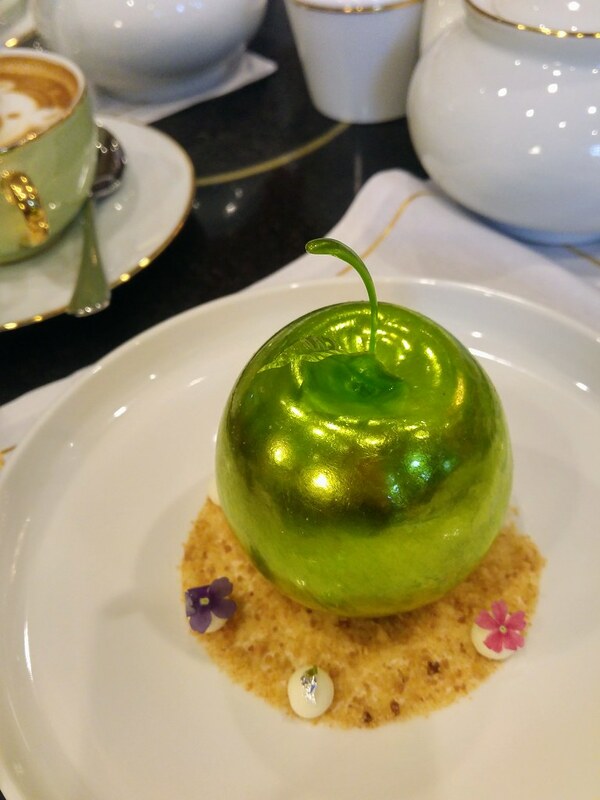 You get to see the chefs putting together the various desserts, especially for the Golden Apple, in which the Chef got to create a fairytale green apple out of sugar. While it is a good effort to engage the guests, it would have been more meaningful if the effect could be more theatrical. 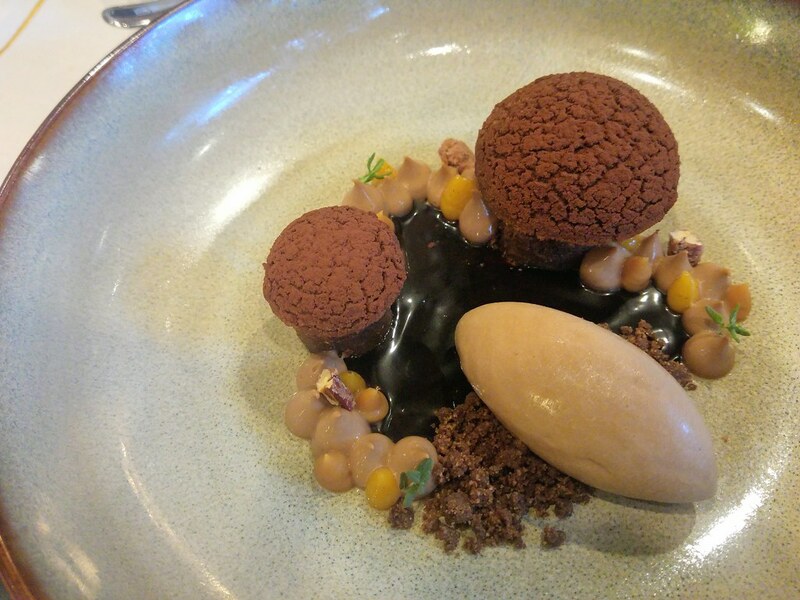 My adorable dessert may look monotonous but it is filled with textures and complementing flavours from caramel cream, banana chocolate gelato, pecan brownie, chocolate choux puff, banana coulis and a crunchy chocolate crumble. Along with my dessert, i ordered a Pour Over Coffee. Highly recommended for coffee enthusiasts and coffee lovers alike. 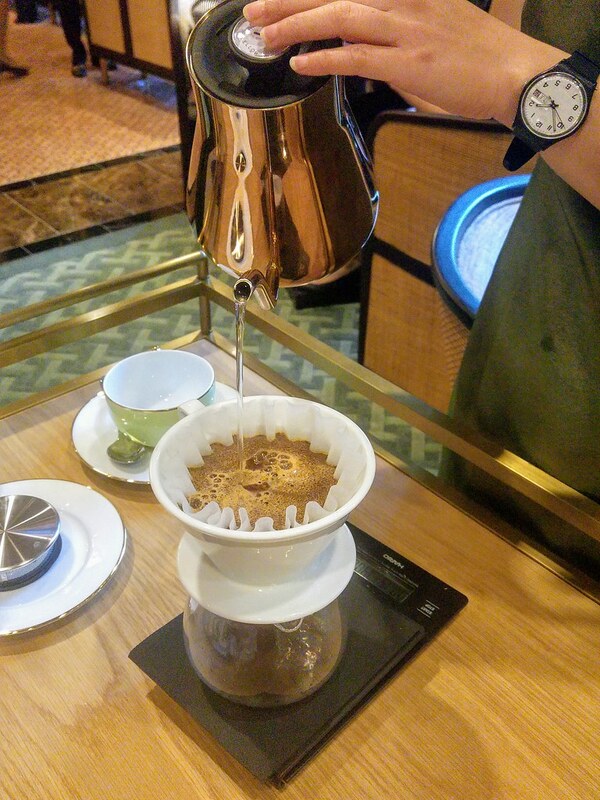 With a newly introduced tableside trolley service, the well versed staff will bring the coffee over and prepare it infront of you. I love the part where i got to breath in the aroma as the staff poured the hot water which has been brought up specifically to a few degrees shy from boiling point, over the freshly ground coffee. Teas here are also a lot more exciting than the usual TWG. Each category comes with a romantic background and infusions are blended with quality tea leaves, flowers and herbs. I enjoy the intimacy that one gets at this newly refurbished space at Tea Lounge, with the custom made partitions, mixed of warm and natural lights surrounding it. The new plush lounge seating makes it even harder for me to leave at the end of the session. 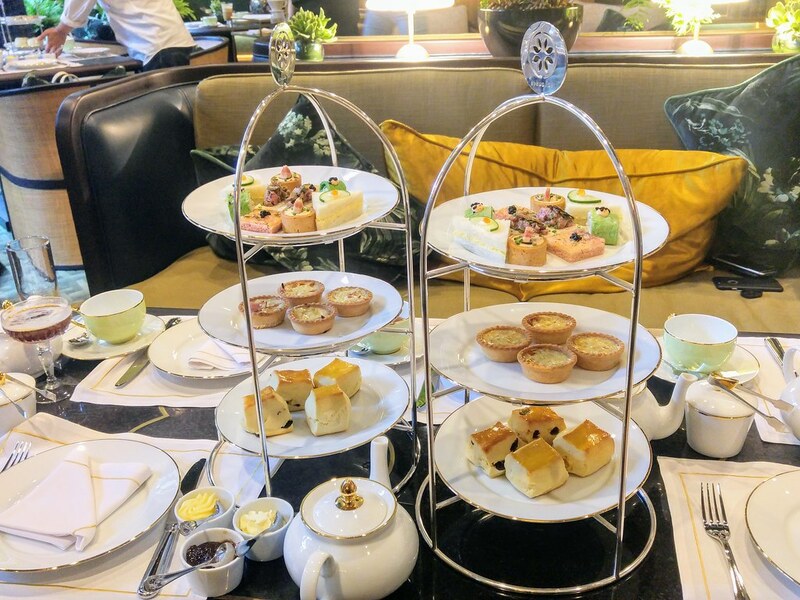 The Weekday Three-tier Afternoon Tea is priced starting from $48 per person and available from Monday to Friday from 12pm to 5pm.